It's not often one gets excited about anything 'conference.' Conference rooms, conference calls, conference conferences - just the worst, no? 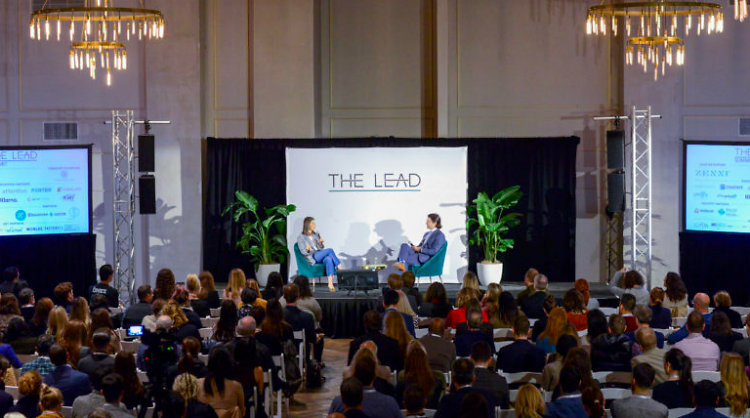 Back by popular demand, The Lead Innovation Summit is anything but your awkward meet and greet over bad coffee or a boring Q&A that won't end. A two-day festival with over a thousand attendees, this can't-miss event brings together the style and smarts of the Fashion and Retail industry with the emerging tech leaders of Global Silicon Valley. Taking over the Brooklyn Expo Center from July 9th to 10th, The Lead will feature everything from actually cool key notes, panels and fire-side chats to masterclasses, workshops, peer roundtables, and spark sessions with a cross-section of industry leaders who are moving the needle. Get ahead of the crowds and register today - it's sure to fill up! Grab a sneak peek of some of the speakers and guests below!